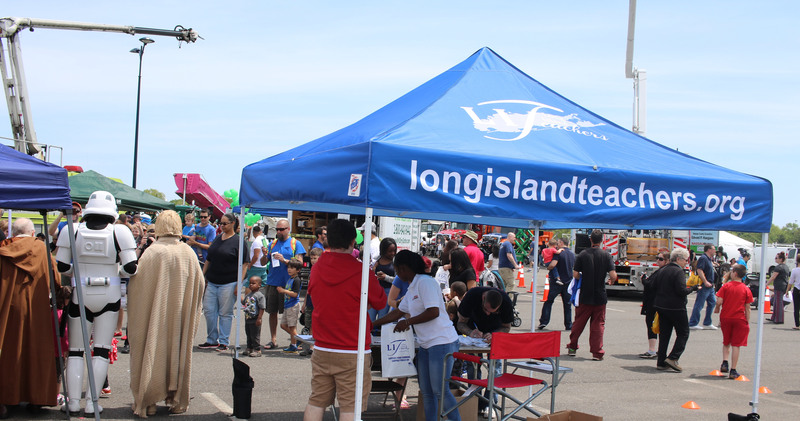 This past weekend radio stations WBLI/WBAB hosted their annual Touch-A-Truck event at Eisenhower Park in Nassau County, NY. Thousands of people came out to support the event. Children had the opportunity to take photos, explore, sit in, and climb on over 40 unique trucks and vehicles that included police vehicles, 175-foot crane, bulldozers, company trucks, motorcycles, fire and rescue trucks, and many more. Many representatives from union work forces were there to support their craft and trade, specifically the Nassau PBA, IBEW 1049 (PSEG LI) and Long Island Teachers. Teacher leaders from the Long Island Teachers came out to support the event. They handed out bags filled with pencils, bag clips and fliers to people attending the event. Long Island Teachers raffled off a new tablet to those who signed up to receive this email. 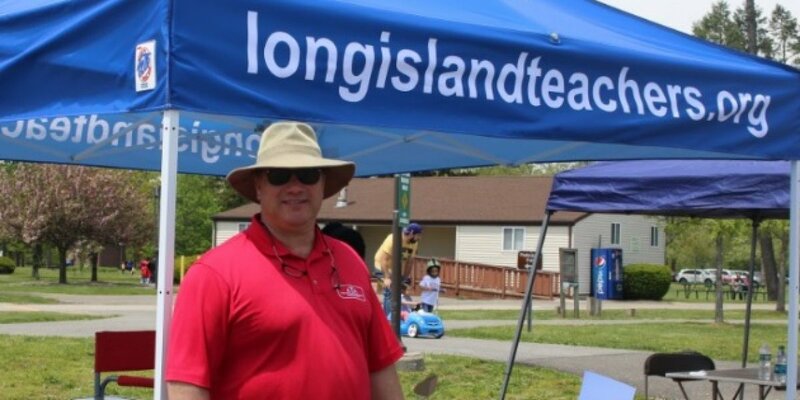 A great time was had by all at the Long Island Teachers table. At the Touch-A-Truck event attendees donated non-perishable food to the Ronald McDonald Foundation. This is the fourth year the radio stations partnered up to run this free family friendly event. Long Island Teachers are excited to support this event and Public Ed at the next Touch-A-Truck event this October in Suffolk County.